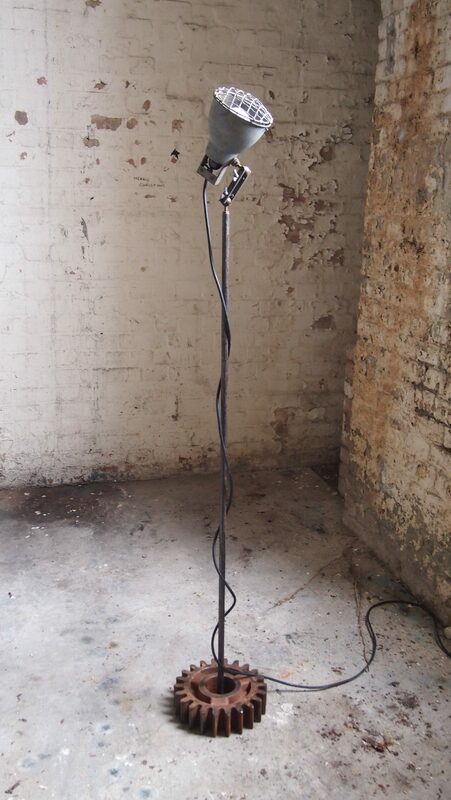 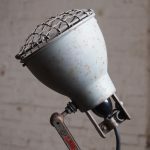 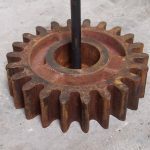 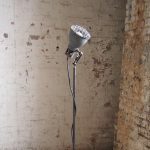 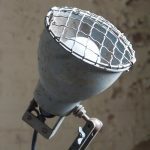 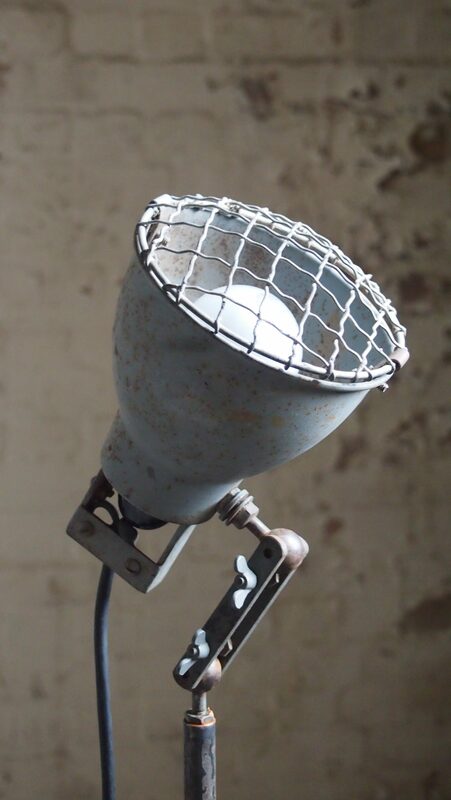 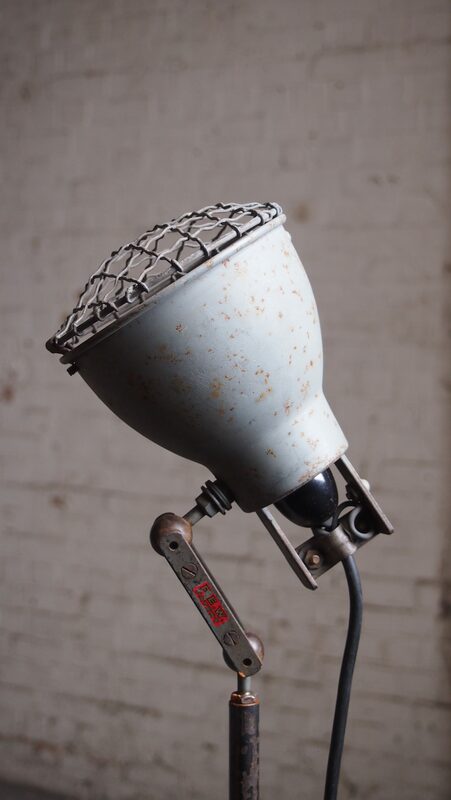 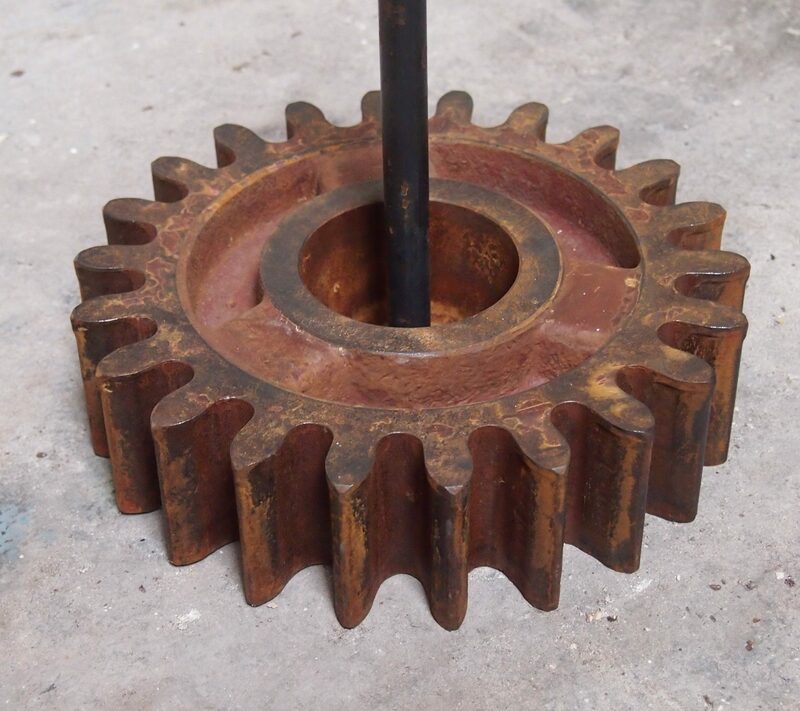 Mid size standard lamp utilising a reclaimed mid century industrial task lamp and a heavy cast gear for the base. 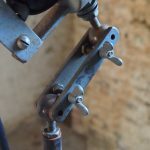 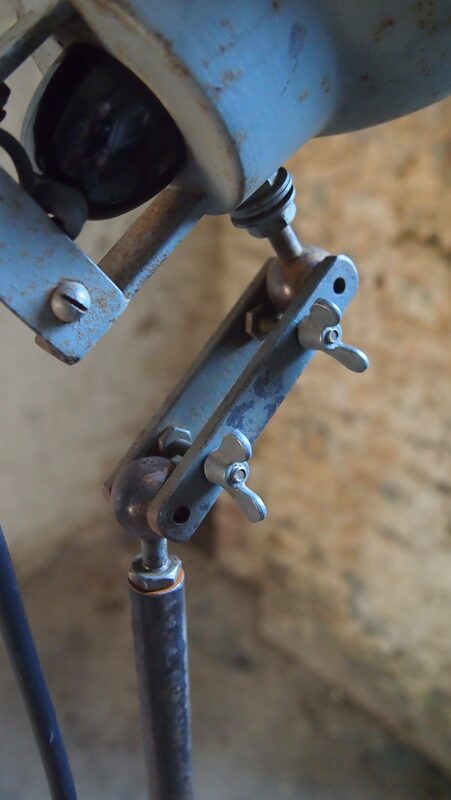 The lamp head is articulated with two knuckle joints. 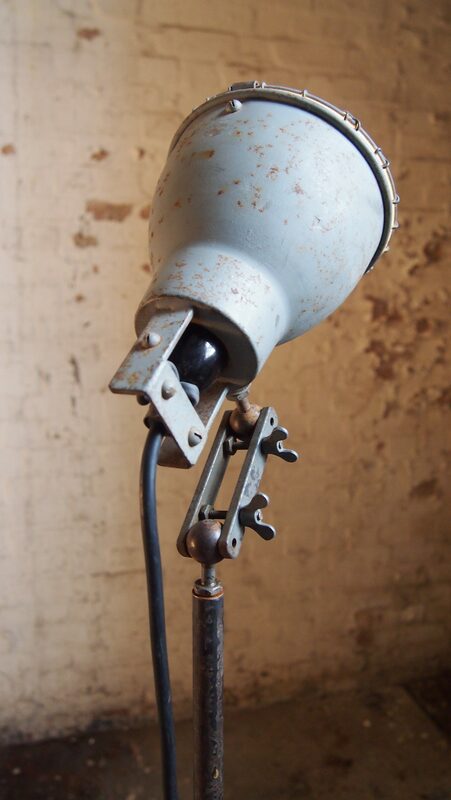 Great size and height for an arm chair reading light.